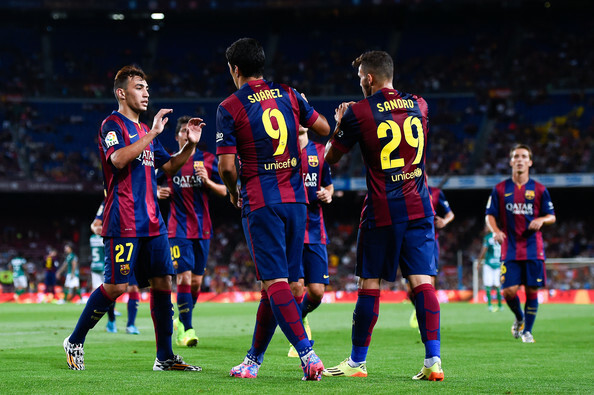 Barcelona embarked on a strong start this season via thrashing Elche. The club is eager to put an end to its trophy drought and shall do everything to take the limelight again. Villarreal did a strong start during the season’s kick-off. Pitted against another equally aggressive squad, Levante, the Yellow Submarines netted 2 goals and kept their opponent at bay. It seemed that Villarreal’s victory was a necessity. Not only did they earn 3 points from the said win, they need the win to serve as a buffer in case they lose to the online betting favorite, Barcelona. Barcelona’s trophy drought last season serves as one of the team’s strongest motivator. The club is determined to end its lackluster performance via securing a 3-0 victory against Elche. Lionel Messi is back to its scoring rampage. During the above-mentioned encounter, he scored 2 goals, which gave Barca a comfortable lead towards the end of the match. The talismanic striker struggled last season because of injuries. But it seemed that an unstoppable Messi is back on the pitch. Unfortunately, Barcelona will be missing Javier Mascherano, who incurred a booking in his previous encounter. Messi of course, will continue to shine. But the good thing is that Munir El Haddadi is eager to handle scoring responsibilities. Ivan Rakitic was impressive in controlling the ball, which readily increases Barca’s possession rate. As for Villarreal, Denis Cheryshev will definitely take advantage of scoring responsibilities that will come along his way. In the sports betting site, 12BET, Barcelona is valued to win at a profitable 1.59, whilst Villarreal takes a 5.45.